Location: Salvagnac, in the Tarn departement of France (Midi-Pyrenees Region). 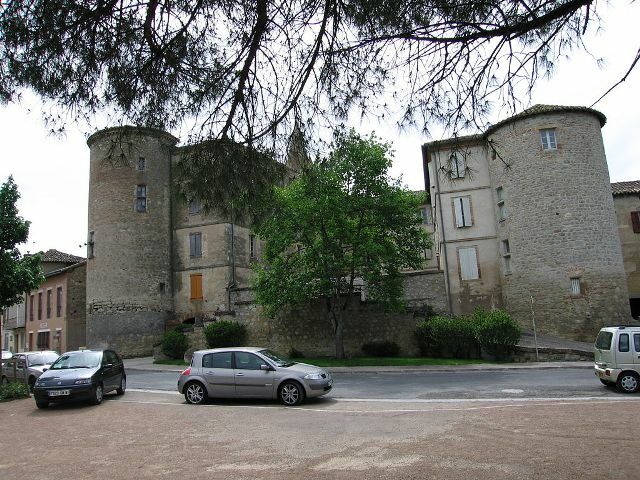 Notes: Château de Salvagnac is a fortified building, located in the town of Salvagnac in the Tarn department in France and listed building since 15 January 1980. In 1587, the Anne de Joyeuse Admiral takes Salvagnac during the religious wars but the damage had to be minors since 1609, the castle is part of a will. It was modified in 1720 and purchased by the family Chastanet Puységur in 1788. In the nineteenth century the west facade and rebuilt and realigned and the entrances of underground cellars. The ditches were filled with rubble walls. The castle dominates the top of the village, on top of a hill. He kept the horseshoe shape which probably dates from the original construction. The two medieval towers on either side of the court, show that the building was redesigned on ancient remains. The left wing dated nineteenth century and remained without food. The central and right wings of the 1720s are classic in style. The facades are highlighted by moldings on each floor. They are well developed by a recent restoration.